Mila has an unusual way of seeing things. She can read a room the way others read body language. She can look at every day ordinary objects and learn about the people that inhabit them. She can also read people in the same way, knowing that what they’re saying and what they actually mean often aren’t the same thing. When her father’s best friend goes missing right before Mila and Gil are supposed to visit, they make the trip from London to America anyways to look for Matthew. However, the situation is jarring for Mila, everything is out of place. His beloved dog, Honey, has been left at home. So have his wife and new child. What’s going on? No one would just walk away from all that. There is more going on than meets the eye, but no one looks at the world quite like Mila and she’s determined to find answers. Mila is also worried about her friend Cat. Her parents are going through a divorce and they are tearing her world apart. Can Mila make sure that Cat is all right even as they go to another country? Every novel by Meg Rosoff is different. We’ve been treated to a post apocalyptic tale, a story about Fate, a historical novel and magical realism. 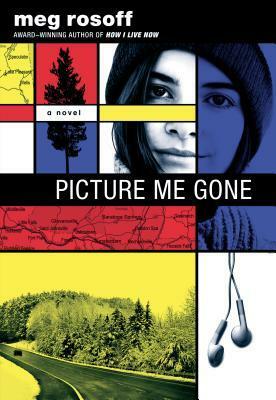 Rosoff again changes track and gives us Picture Me Gone which is a combination of a mystery entwined around a coming of age story. Rosoff’s strength lies in the characters and worlds she creates. Mila will pull you into her story from page one. It helps that there are no quotation marks around dialogue, so that it’s as if you’re reading Mila’s diary or thoughts. Mila is also a phenomenal character, both sympathetic and intelligent. Her story is instantly readable because her voice is so real. It as if you’re merely reading words that are already inside you so true is Rosoff’s tone and pitch. Rosoff also doesn’t pull any punches. Her novels always deal with life’s tougher subject without sugar coating them, particularly unusual in young adult fiction. She doesn’t talk down to her audience but instead forces us to look at the world through her characters with unflinching beauty. It also deals with coming of age and parallels. Gil is not abandoning Matthew and Mila won’t abandon Cat. Learning about the story between Cat and Mila just deepens her character and our understanding of her. This is a novel that deals with relationships, people we love, secrets, lies and betrayals. It is also a novel of what truth is and the strength of the human heart-and Meg Rosoff handles all these things and more with grace, beauty and aplomb.